In addition to the conference content, GDC Europe provides several opportunities for creative exchange and business development, with venues including the GDC Europe Expo Floor, VIP Lounge, and the GDC Europe Business Lounge at gamescom, plus a host of industry parties. Already thirty exhibitors and sponsors from Belgium, Germany, the Netherlands, Russia, Sweden, the UK and the USA have registered for the exhibitor zone measuring 650 square meters. Exhibitors include Crytek, Bigpoint, Epic, Howest University, Imagination Studios and Intel. In addition, GDC Europe will also be hosting for the first time a Business Lounge at the accompanying games expo, Gamescom, at which Autodesk, Crytek, Epic, Zotac, DigiProtect, and Level 3 are confirmed to be exhibiting. "We always focus on practical solutions and market needs," says event director Frank Sliwka, summing up the conference's unique philosophy. "We aim to combine trend analysis with the search for new models for technology and at the same time, creating marketing and business opportunities to present to our attendees." 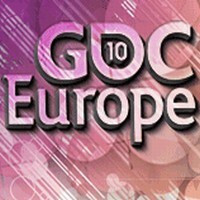 Online registration for GDC Europe ends August 12, 2010 at 1pm CEST. For more information on GDC Europe, including a schedule of all conference events and parties, plus a complete exhibitor list, please visit: the official GDC Europe website.